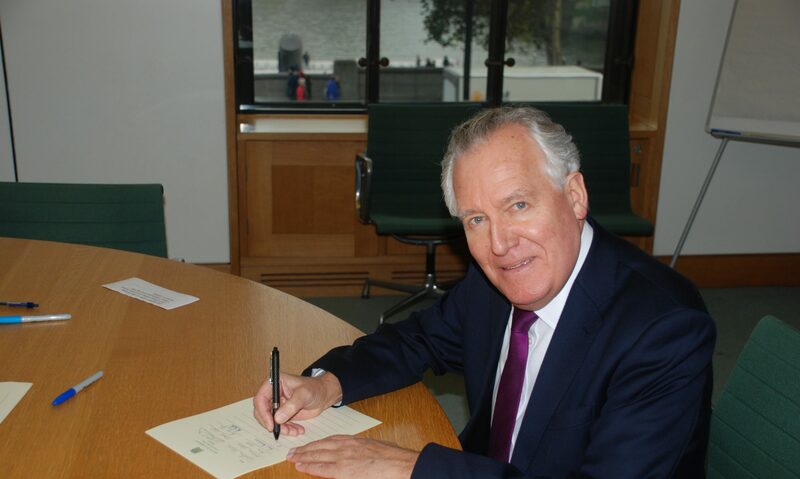 Mr Peter Hain (Neath) (Lab): Will the Secretary of State explain how, with income tax devolution, Wales will continue to benefit—like, for example, north-east England, a comparable area, does—from the redistribution of income and wealth that comes through the Barnett formula, albeit imperfectly, from the 40% of GDP that exists in London and the south-east of England if income tax is devolved? Mr Jones: That is an important point and it is a matter that would have to be debated in a referendum. My own view, as the right hon. Gentleman knows, is that Wales would benefit from a modest reduction in the rate of income tax, but I have to remind him that all we are talking about is a referendum that would empower the Welsh Government to decide on the rate of tax they want to charge the Welsh people. If they decided they did not wish to do that, there would be no compulsion on them to do so. However, it would provide Wales with an additional borrowing stream referable to the level of income tax devolved. It would also provide a powerful incentive to the Assembly Government to grow the Welsh economy, because clearly the more the economy grows, the more would be the revenue. Mr Hain: I understand the Secretary of State’s point. However, I find it very interesting that he has not got an answer to my question—namely, how would Wales continue to benefit from the vast wealth that exists in a relatively limited area and is redistributed right across the UK? The fact that he does not have a clear answer makes me extremely sceptical about this entire proposal. Mr Jones: Clearly, Wales would not be deprived of Barnett consequentials; the right hon. Gentleman knows that. We would have an additional tool for the Welsh Government to use, should they decide to do so, in growing the Welsh economy. I would have hoped he would be bold, because he has spoken in the past of the need to grow the private sector in Wales. I would have thought a small differential in the rate of tax would be a significant incentive to that private sector growth. Mr Hain: The Secretary of State is being generous in giving way, but this is an important point. The Barnett consequentials will continue to come through from that portion of income tax which remains reserved to the Treasury, but the bit that is devolved under the scenario the right hon. Gentleman proposes would not, unless there was some kind of compensating mechanism which is not described. That is what makes me extremely sceptical about this. Mr Jones: Some of what is passed to the Assembly would be subject to indexation every year. This would take into account both growth and contraction in the wider UK economy, so there is a mechanism built into the Bill that addresses the right hon. Gentleman’s point.